Detroit is arguably one of the most fascinating modern cities in the world. This is thanks to the city’s unique balance between its former identity as a manufacturing mecca and its current state of sectional abandonment and iterative renewal. It is neither deserted nor wholly occupied, but exists in tension between destruction, creation and everyday living, with beautiful stories on all of these fronts. French photographers Yves Marchand and Romain Meffre saw the abandoned parts of this compelling urban landscape as no less fascinating than the ruins of ancient civilizations and set out to document it in their 2010 book The Ruins of Detroit. 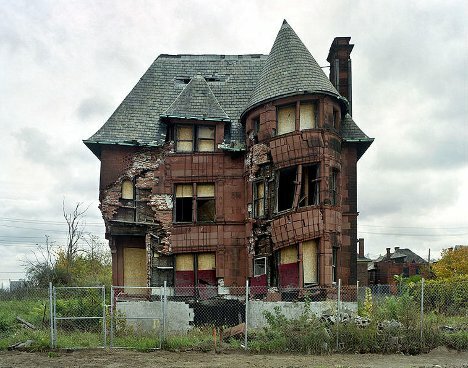 via Grandeur Lost: The Modern Ruins of Abandoned Detroit | WebUrbanist. Next Next post: When are fruits and veggies in season? – Holy Kaw!